A Christmas tradition that never fades is decorating a Christmas tree. From different tree types and decorations like tinsel, popcorn or garland, one thing that remains the same are Christmas Ornaments. Large or small, someone’s first Christmas or an ornament you made in grade school they all mean something special. Continue the tradition with a personalized ornament from our collection – we have something for every milestone and event in life. First Christmas as a married couple can be overwhelming; whether they just moved into their new home or they are trying to balance their new extended family. 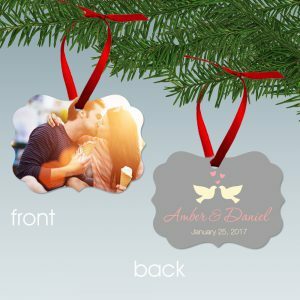 Help the newlywed couple decorate their Christmas tree with a special wedding ornament just for them. They can display their personalized Christmas ornament every year for years to come! Have a special photo of the couple or their wedding photo? Put that on a newlywed photo ornament to truly remember that special moment. 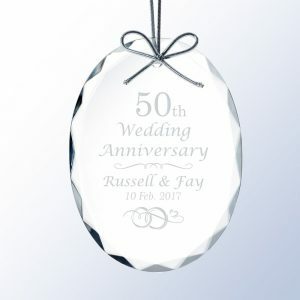 For the couple that acts like newlyweds, but have been together forever a sweet anniversary ornament is a perfect testament to their love! As a child, helping to decorate the Christmas tree is always fun and exciting. Especially putting up the ornaments that you picked out or made especially for the tree. Was is a DIY cinnamon dough ornament from grade school that just smelled so good? Did they have an amazing tennis season or did their soccer team win a championship? 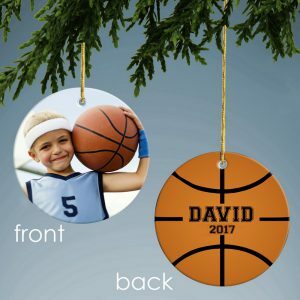 Commemorate that special time with a custom sports ornament with their team or individual photos. A Christmas ornament makes the perfect gift for a newborn baby or that special couple that just welcomed a cute new face into the family. Put that sweet baby’s face on a custom photo ornament, which even makes a great gift for grandma and grandpa! A first Christmas is an exciting and special experience that should be remembered! 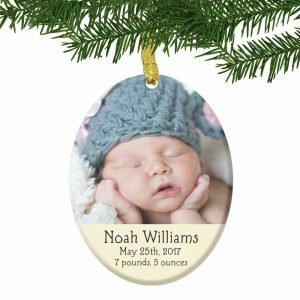 Commemorate this special Christmas with a Baby’s first Christmas ornament, including the baby’s name and birth stats. Every year, your furry friend helps (or tries their best to) decorate the tree. Have a great photo of your pet rolling around in the grass or being really photogenic? 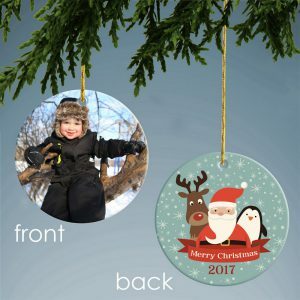 Customize an ornament with that photo and their name for a truly unique photo ornament. Put it up every year to remember how long they’ve been a part of the family. Will this be the first year without your furry family member? 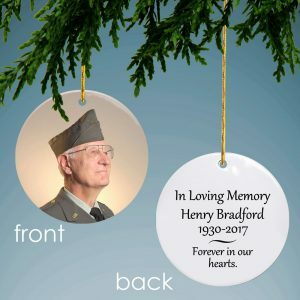 If so, A classic crystal memorial ornament or a custom photo memorial ornament is the perfect way to remember them every year during the holidays. The holidays are always a fun and eventful time, but also a time where we miss our loved ones the most. 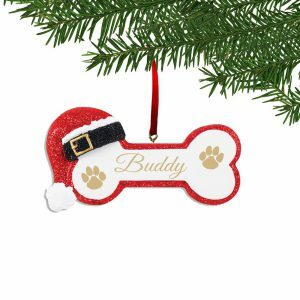 A sweet and special gesture to remember your loved ones is to put up a memorial ornament. 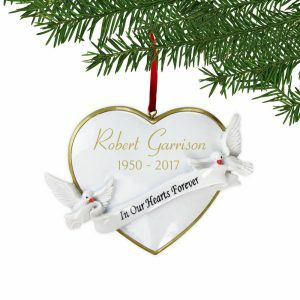 Start a new family tradition with a personalized memorial Christmas ornament. From Crystal ornaments to custom photo ornaments you can remember your loved ones and special friends in a unique way this year and for years to come. 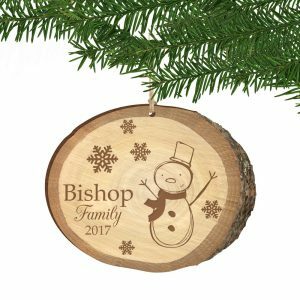 Even though every family decorates their tree a little different, one thing they can all have in common is a personalized family photo ornament! Have some great family photos from a reunion, family party or some throwback photos that are just too good to toss? 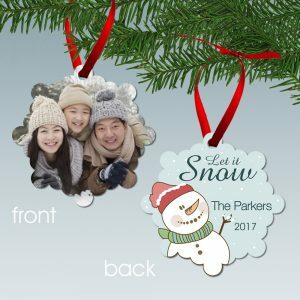 Those make the perfect photos for these ornaments, with a variety of designs in all mediums, there’s an ornament for everyone in the Family! 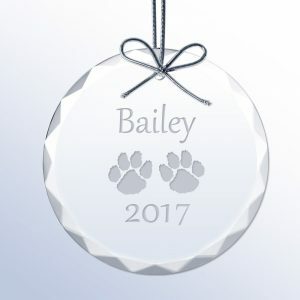 Whatever your style or aesthetic, our unique and personalized ornament collection is sure to have something for everyone on your list. 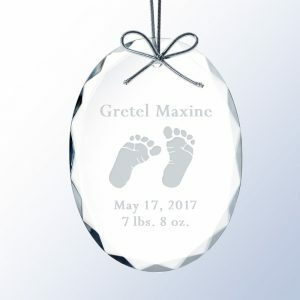 Whether it’s their first Christmas or custom photo ornament from a special moment from the year, it will put a smile on their face for years to come. This year, start a unique family tradition with a personalized ornament that can be passed down through the family. What was your favorite ornament to put up on the tree growing up? Does your family have any other special tree decorating traditions?